Supreme Towing Pasadena is a caring towing service provider based in Pasadena, Texas which also provides roadside assistance services in its neighboring towns within a radius of 30 miles from the Pasadena city zero point and also one of the best Texas towing services for its quality and timely emergency roadside services. For our multi – featured super roadside services in affordable rates and praiseworthy attentive moves, we have achieved such landmark by bringing courteous towing and roadside services for years. Among a number of towing services in Pasadena, we are liked by the Pasadena community the most because of our prompt emergency roadside services. 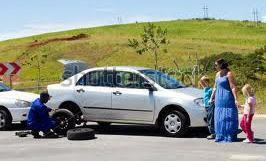 All our services of Supreme Towing Pasadena are totally ensured and bonded. Our pricing policy is clear & honest, no hidden costs and extra charges. We believe in serving Pasadena residents, not to cut the people’s pockets by inappropriate ways. We follow the precautions in all our services very strictly to avoid more damages of vehicles and try to provide the total services for which we are committed to fulfill. We have number of towing vehicles for any sizes and types to tow and most of them are well equipped with automotive machines and tools. We have included automotive machines and tools to save time and to provide the roadside services with fewer errors. To rescue you from stranded situation in Pasadena TX., we serve the quickest services with skilled hands and latest automotive repair machines and tools. We are offering the prompt emergency services mostly by the successful coordination of our Supreme Towing Pasadena dispatch centers who attend all kinds of roadside assistance queries 24/7. We provide online suggestions and assistance until the towing and the mobile repair van reaches the location. And all sorts of mechanical breakdown troubles. These services are generally require emergency response and our dispatch centers are equipped with GPS and Navigation system to locate the exact location of each of our drivers. We provide quite brilliant roadside services and assistance in Pasadena by offering the best technician team, automotive machines and tools and finally the towing services.